8 Farrer Suites Residential is the most extensive development situated at 8 Sing Joo Walk, unveil a vivid life-style that is specular, marvelous and amazing. Specifically 34 units of Freehold contemporary home space, convenience belying its calm surrounding and within 2 minutes walking distance to Farrer Park MRT station , you are at the center of every shopping, cusine and amusement choice with close proximity to schools and medical centres. 8 Farrer Suites is well-positioned to let you love all the advantages of fast and easy access to all that's happening, yet from a vantage point that sets you apart. 8 Farrer Suites is well-connected to both the modern benefits and joys of life with shopping centres, MRT Stations and parks all within easy walking distance. Just 5 minutes away, City Square Shopping mall gives opportunities to shop to your heart's delight, spend unique moments with friends or simply enjoy the company of someone special. 3 mins walk to Farrer Park MRT station – ensure that you are never far from the action, wherever it takes place in Singapore. Living at 8 Farrer Suites, you will be dwelling in the centre of numerous service being very close to Orchard Area, MRT, shopping centres medical centres and restaurants. Farrer Park MRT is about 270m away which will be only about 3 mins away. Nearby are Little India and shopping malls in the surrounding are Serangoon Plaza, City Square Mall, Mustafa Centre, Sim Lim Square and Velocity@Novena Square. Close to Connexion which will host Farrer Park Medical Centre, Farrer Park Hospital and One Farrer Hotel and Spa. Good primary school close by includes Anglo Chinese Junior School, Saint Joseph Institution Junior and Hong Wen School. Beside the shopping malls, nearby are series of shop buildings which you can find many dining places and find yourself in a food paradise. 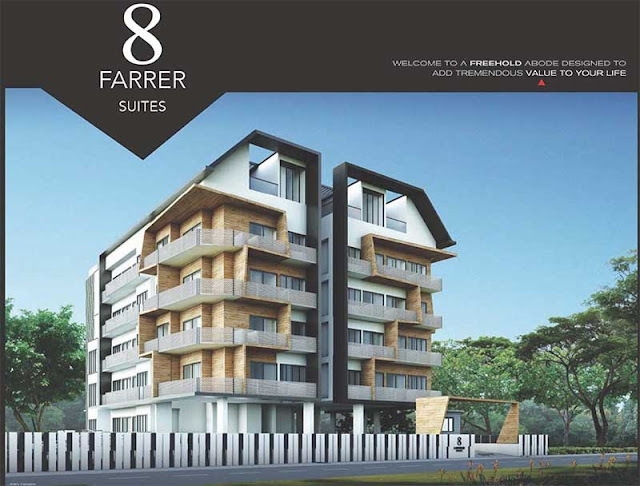 8 Farrer Suites is a fresh and freehold development that satisfies your best dreams. Where an eclectic abundant mix of activities await you, you are fortunate with ample endless space to show yourself distinctly. Check out http://www.propertylaunch.biz/2013/08/8-farrer-suites.html for further information or call the marketing staff at 6100 0877 for enquiries.